Reefs Magazine is very pleased to be able to continue our in-depth conversation with the inimitable Terry Siegel. RM: Earlier on you mentioned the Berlin Method of reef keeping. Can you say a little more about that?TS: Julian [Sprung] of course was an exponent of the Berlin System. Julian had met a German man in Europe who lived in Switzerland, who did his education at Heidelberg, and was a chemist, and learned a great deal about water purification. His name was Peter Wilkins and he is probably the science and the intelligence behind the so-called “Berlin Method.” Strange as it may seem, he actually came out with a book, a copy of which I have somewhere in 1973, in which he talked extensively about protein skimmers, about lime water and so on—all the components of what we today call the Berlin Method. In any case, also in Germany at around this time, there was a man by the name of Dietrich Steuber who got in on a piece of rock a small piece of Acropora that became known as Steuber’s Acropora. Julian, on a trip to Germany got a fragment from Steuber, which he then started to grow in his reef tank. He gave me a fragment, and I was able to grow quite a large colony of this Acropora and passed it on to many hobbyists. This is the first time that Acropora, as far as I know, certainly in the United States, and probably also in Europe, was successfully kept in coral reef tanks. Most professionals in public aquaria at that time believed it to be impossible to keep Acropora alive in captivity. Nowadays, of course, we can grow them almost like weeds. 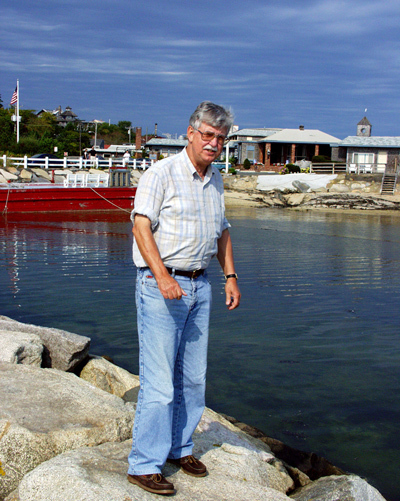 Peter Wilkins – the science and intelligence behind the Berlin Method of Reefkeeping. The hobby developed very rapidly after that. Locally, Greg Scheimer built a 500-gallon tank in his basement, I had three reef tanks now in my living room – believe it or not, with the sump in the basement – and I had flexible PVC going through the walls – down in the basement. I used a Jacuzzi pump to drive the water back up to the tanks. It is amazing I ever sold that house in Brooklyn… [laughs]. There were lots of other people building large successful systems too. RM: How did you come to publish your current magazine Advanced Aquarist?TS: A number of years ago, the five year moratorium from Fancy Publications was up, and I was approached by Reefs.org with the idea of editing and starting a new publication– this time an on-line publication, which would be free to the public, and which would be supported by advertising. That was the birth of Advanced Aquarist. RM: What was your vision for the magazine? The interesting thing about the Advanced Aquarist project it seemed to me was that it had certain advantages over print publications. One is immediacy, plus you can stream video, you can stream sound. I liked that we could design a space where people could contact writers directly and ask questions about a new article. From my point of view as an academic–and I have been someone who has always been very interested in science–I wanted as much as possible to publish articles written by scientists and people who had experimental data, where information went beyond anecdotal information, went beyond opinions spoken from someones’ opinion-pipe. Does Garlic REALLY work? What actually do skimmers take out of the water? What’s in the salt mixes? These are difficult questions, and they are questions that we are still dealing with. RM: After retiring from Pratt you and your aquariums moved around a bit. 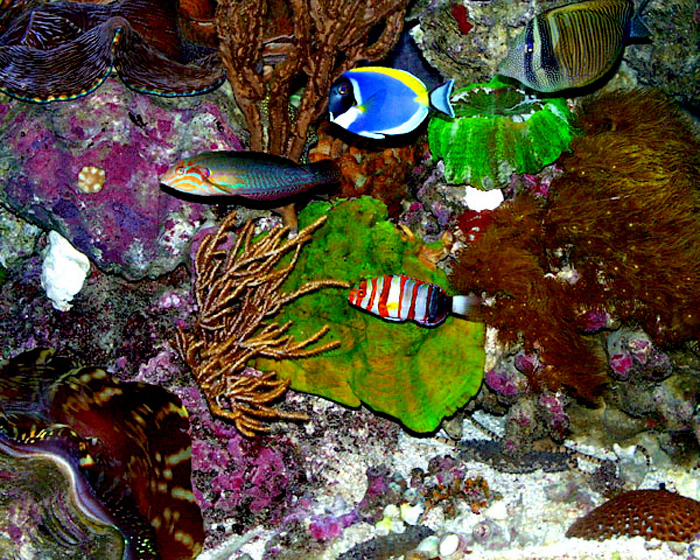 TS: I eventually moved to Cape Cod around the year 2000, and moved the contents of my three reef tanks into one ten-foot tank in Cape Cod. That move was successful. However, after the death of my wife about six years ago, I bought a house in Portland, Maine, with my son, Peter, and his family. And because I was spending far more time in Portland, ME, than Cape Cod, I built a new tank, and decided to move all my critters to Portland, ME. Terry’s beautiful 500g. system on Cape Cod. I might as a side note point out that my tank in Portland, ME, is a plexiglass tank. 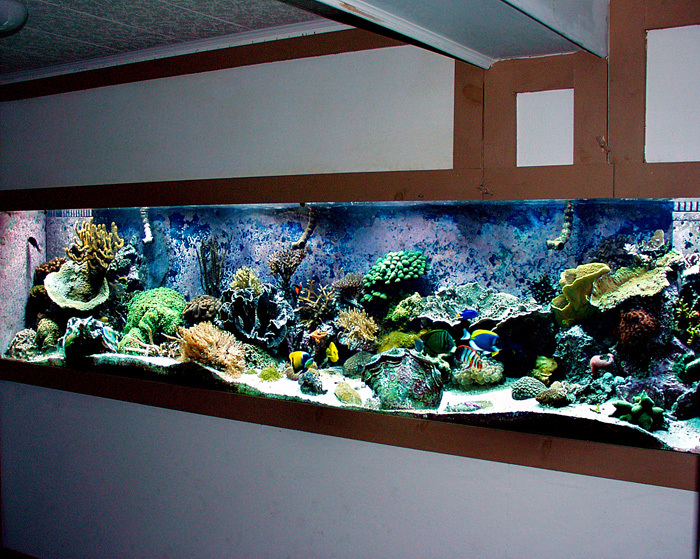 There was no way that I could get a glass tank into this basement, so I had to bring in a plexiglass tank which I hated – hated because it’s a constant battle to keep the coralline algae off the viewing pane without scratching the plastic. I mentioned that I did keep a clown at one point, a tomato clown for 25 years. I still have a couple of corals now from 1984. I kept a lot of fish for a long time–many on average from 10 to 20 years. In any case, I brought over all the corals first, and then I brought over the fish, and the fish all died. All the fish I had – the Achilles tang, Powder blue tang – all kinds of wonderful fish that I’d had for many, many, many years – – a harlequin tusk fish, just to name some of the ones I recall, including the tomato clown, which was now in its 25th year. A disease broke out, which I’m pretty sure wasBrooklynella hostilis. It probably was always in the system. But now in a new tank, with very stressed fish from the move, they all contracted the disease, and there was just nothing I could do about it. It happened over a couple of days, and it was really heartbreaking. In any case, all the dead fish were taken out, and I waited about two months for the parasites to die out, and replaced almost all the fish that had died with juveniles. I might add they grew very rapidly. That pretty much takes us up to the present. Some of the many fish lost during the move to Portland Maine. RM: It is heartbreaking to hear about all those long time residents meeting their end.TS: Yeah it was tough,, I thought about getting out, but you know how this hobby is…… RM: Most of our readers don’t know that you were quite athletic in your day. Actually, you still are. TS: Well, I was a four-wall handball player, and probably one of the best, and played all over the country in various tournaments. We had a league and played out of the New York Athletic Club and later, the Brooklyn Union Temple. And we played other teams in the downtown athletic club, a couple of teams in New Jersey and so on. I played first singles or first doubles. Around the age of forty, however, I found that four-wall hand ball was just knocking the hell out of me, and my sons (I have three) were growing up and wanting to play handball also, and I figured, that was kind of foolish, because you couldn’t do much with handball. So I said, why don’t we all take up tennis. I had played some tennis in college. And strange as it may seem, I became a tennis pro – a teaching tennis pro – mostly so I could get court time for my sons, who were very avid players. The wages of sports….well, you know… by now I’ve had both of my knees totally replaced, although, I must say they work pretty well. And although I haven’t played any tennis for about a year –actually I played some in Florida recently – I am going to in the summer since I only just had my right knee replaced about five months ago – I plan on starting to play again in the summer. 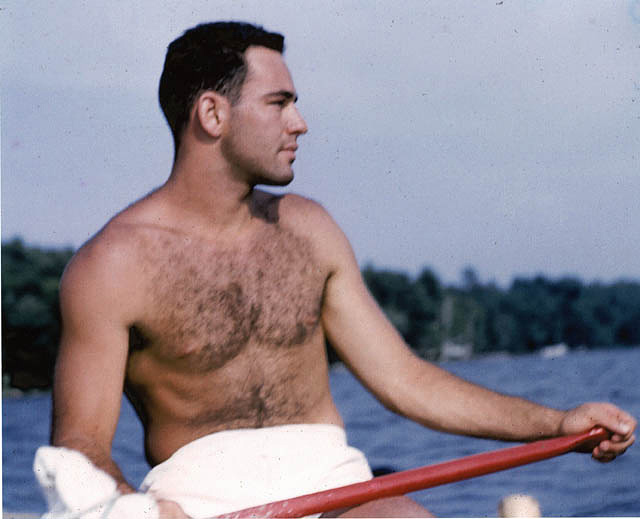 Who is this guy?—–Terry at 18 !!!! RM: In addition to your academic and aquaristic careers you’ve done a lot of other things too that might surprise some people.TS: Aside from my Pratt career actually, throughout all of the years I taught at Pratt, I also worked as a carpenter. My father had a home improvement business, and I used to go out with his men as a gofer – go fer this, go fer that! Eventually, I learned how to do all this kind of stuff. And so I did piece work for various companies, hanging doors, windows, replacement windows, building kitchens, bathrooms, and in fact, while at Pratt I got to know a guy by the name of Gus Dudley. He was an architect. He designed some houses in Cape Cod, and that was, I guess, in the 70’s. And I would take four Pratt students, seniors, from the architecture school up to Cape Cod for the summer where they would live in tents and we would build the houses (I would work as the general contractor) that he designed. At some point, I guess it was around 1980, I opened a Hagen Dazs store, a ten-year franchise in Brooklyn, and ran that for, as I say, the ten years. It was not long after that that I retired from Pratt. RM: You also have several other serious hobbies. TS: Classical music has always been very very important to me. Audio-reproduction of classical music was simultaneously as important. So friends of mine and myself were always pursuing what we called the holy grail. In technical terms, a straight wire with gain. That is to say, you make a recording, and you reproduce it in a living room or a recording room, and there is literally no distortion. And the idea was to create the kind of experience you would have in a concert hall. There are all kinds of psycho-acoustic problems in doing that because a living room doesn’t sound like a concert hall–athough nowadays, with surround-sound and a variety of other things, you can get pretty damn close. I got very involved in that and the technical aspects of it – in sound reproduction, recordings and all of that kind of stuff. And it’s a passion I have to this day. RM: Who/ What are you favorite composers and pieces of music? TS: Ah, well,, I love Beethoven and Brahms, and Mozart and Tchaikovsky and so on, and listen to them quite often. In fact, I have a big flat-panel TV, where you can, using DVDs, particularly the Blue Ray, you can see the orchestra perform and listen to it in a surround-sound system. It’s quite spectacular – VERY close to the holy grail, in my opinion. However, it is modern music that moves me most deeply, and particularly Russian modern music – Stravinsky and Shostakovich in particular. RM: I hesitate to ask this, but I know politics has always played a large role in your life. So, if you are willing……TS: Let’s see now, reefing and politics don’t often mix very well so I don’t really want to go there particularly except to say that I’m a Marxist, a Leftist, and have been for most of my life, involved in anti-establishment, anti-captialist programs. I am currently on the Board of Directors of Peace Action Maine. I’m also a member of Cape Cod Peace and Justice. I believe that socialism is the way to go, but that it’s going to take a long time for most people to be able to live socialistically, rather than what’s going on now, which is a nightmare as far as I’m concerned. It’s beyond my comprehension how human beings could keep on killing one another and how ordinary people, somehow or other, become the workers and the fodder that keeps a few rich people sitting on a pot of gold in their proverbial castles. How that’s all happened, I don’t even want to go into. And the other problem, of course, is overpopulation. And if you want me to get into a real rant, we’ll get into religion. “Be fruitful and multiply” is about a thousand years in error. Anyway, I don’t want to go any further than that. So lets end here. 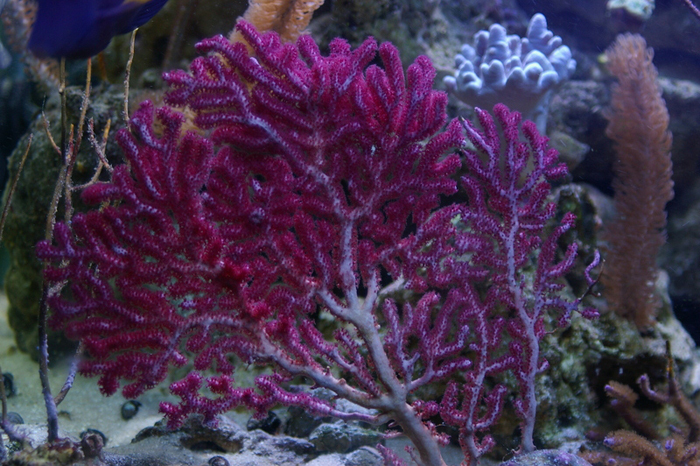 Non-photosynthetic corals like this Gorgonian remain one of the future challenges for aquarists. RM: Fair enough. Before I let you go, I wanted to ask you a few more hobby related questions. TS: Sure, those are probably safer [laughs] RM: What is the best advice you can give to a new hobbyist?TS: Well, there’s a lot of good information out there. READ! READ! and READ. But be careful about what you read. Pay attention to scientifically-based information, not a local fish store person’s opinion. Take information from people who not only talk the talk but walk the walk – who HAVE successful reef tanks; people who are not constantly putting new fish and new corals in their tanks. You can always tell the difference – tanks where things are really grown and have been growing for a long time – fish that have been in there and healthy for long periods of time. RM: What do you see as the biggest challenges facing the hobby? What do you think the next frontier is?TS: Challenges are many. Of course, there are problems with energy consumption. 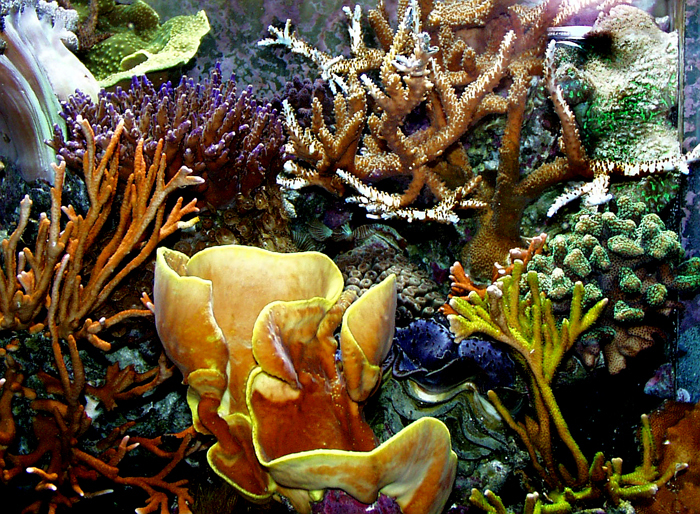 I think this is one area where in terms of equipment there is some development taking place – how to use less electricity – whether it is to cool the water, heat the water, illuminate the photosynthetic corals and so on,–with LED lighting and certainly the transition to more energy-efficient pumps there have been strides made in this direction. My transition, for example, from the Jacuzzi pump to the Hammerhead pump reduced my electricity consumption by a third! Those are some of the challenges that I think the hobby is facing, as well as the fact that the oceans of the world are dying. Not only coral reefs. I believe there are only 10% of the food fish left in the ocean. We are rapidly, as everybody knows here– and I don’t want to depress anybody– killing the oceans. The acidification from CO2 is likely, in the long run, going to do the most damage. The next frontier I think probably is learning how to keep in captivity invertebrates that do not have zooxanthellae from which they get the majority of their nutrition–corals like Dendronephthya and non-photosynthetic Gorgonians. We still can’t really keep them alive in captivity, though many have tried. Temperate tanks also seem to be gaining interest. In the current issue, actually the last two issues of Advanced Aquarist, you can find some articles and pictures of temperate tanks. I think you have written about them in this publication too. RM: Well, I really can’t thank you enough for taking the time to sit down with me. TS: It was my pleasure, now I need to walk the dog!